OpenLand is operated by a voluntary board of its members. Rob is the Group Finance Director of St. Modwen plc, responsible for Finance, IT and Investor Relations. Rob joined St. Modwen in September 2015. Rob has over 20 years’ experience in finance, and most recently was the Group Financial Controller at British Land PLC from 2011. 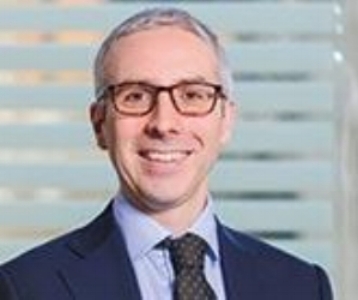 Rob joined PWC on graduating and then moved to Experian PLC in 2000 where he held a number of senior financial roles, including Global Finance Director of its Decision Analytics business and UK Finance Director. Rob is a qualified Chartered Accountant. Karolina is an Associate in the Real Estate Finance team at global law firm, Hogan Lovells International LLP. With experience in general real estate and corporate support work, her main focus is on real estate finance transactions in which she advises lenders on investment and development funding in a variety of sectors. Having founded the staff network, Gateley Pride, which saw Gateley Plc climb over 140 places in Stonewall’s Workplace Equality Index, Karolina is now on the steering committee for Hogan Lovells’ internal LGBT network, Pride UK. She is also a member of the steering group for queer arts festival, SHOUT. Neil is a marketing, communications and business consultant. He has multi-sector experience including private, publicly-funded and not-for-profit. He previously held roles at Millennium Point, The Public and Cadbury plc and has been a freelance marketing, communications, engagement consultant. He is a Trustee of Birmingham LGBT, Chair of SHOUT Festival and was Chair of the Midland LGBT Employee Network. Anthony is the CEO and Founder of Court Collaboration and its group companies, Anthony established Court Collaboration in 2010. In 2008, Anthony joined the company behind the £100 million ‘The Cube’ development in Birmingham City Centre, which he led out of administration on behalf of Lloyds Banking Group and through to completion in 2010. 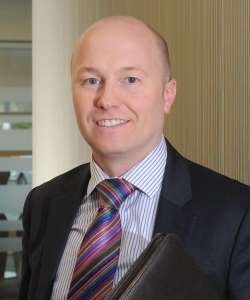 Prior to this, he acted for development clients such as Salhia Kuwaiti Sovereign Fund, CBRE and Jones Lang La Salle as a Commercial Development Solicitor with international law practice Wragge & Co.
Jilly founded Barques Design in 1989 and in December 2010 launched Barques PR making Barques a full service agency. With more than 25 years’ experience of working in the industry, Jilly is a well known character in the city especially in the property and construction industry. Jilly was Regional Chair and National Chair of Women in Property in the noughties and is currently Chairman of Property for Kids a charity that raises funds for disadvantaged children in the West Midlands. She is also Tournament Director for the Second City Charity Pro Am. Paul has been a property litigator for over 16 years, and is ranked as a Leading Individual for Property Litigation in the West Midlands. He joined Higgs & Sons as a Partner in June 2015. Prior to this, he worked at two leading national law firms where he acted for major developers, house builders, corporates, funds, public and private sector landlords and a number of well known high street retailers. Paul is the national Chair of the Regions for the Property Litigation Association (PLA). He is also the Chair of the Midlands PLA Committee. Tim is a Senior Associate in the Residential Development practice at Gowling WLG UK specialising in land acquisitions and disposals. Previous to this, he worked at Harvey Ingram Shakespeares. Alison is a Director within CBRE’s Birmingham Valuation team and has experience in providing valuations for both accounts and loan security purposes. Since 2007, Alison has headed up the investment valuation side of the department, providing valuations to major institutions including AXA, Threadneedle, M&G, Standard Life and Legal and General. Her team values over 500 commercial properties spread across the Midlands on a monthly, quarterly and annual basis. These have a value in excess of £2.9 billion. 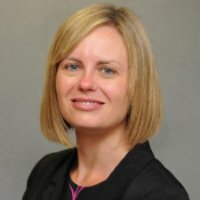 In addition to this Alison provides valuations to property companies and Banks who require valuations for accounts purposes. Stewart was elected as a Member of The Royal Institute of Chartered Surveyors on 29 November, 1996 after training with the Valuation Office Agency in Birmingham. Stewart established Chamberlains Chartered Surveyors in June, 1999. The Company is a small but perfectly formed practice based in Harborne, and is proud to have been accredited as a Royal Institute of Chartered Surveyors Inclusive Employer. He provides a range of Surveying and Valuation services to the private a public sector. Stewart sits on the West Midlands Regional Board of The Royal Institute of Chartered Surveyors. Stewart is Chair of the Board of Trustees at the Calthorpe Academy, is also actively involved with Lions Clubs International and The Careers Network LGBT Mentoring Programme at Birmingham University. OpenLand is an independent entity operating on a not-for-profit basis. This website has been designed and developed to support the work of OpenLand.